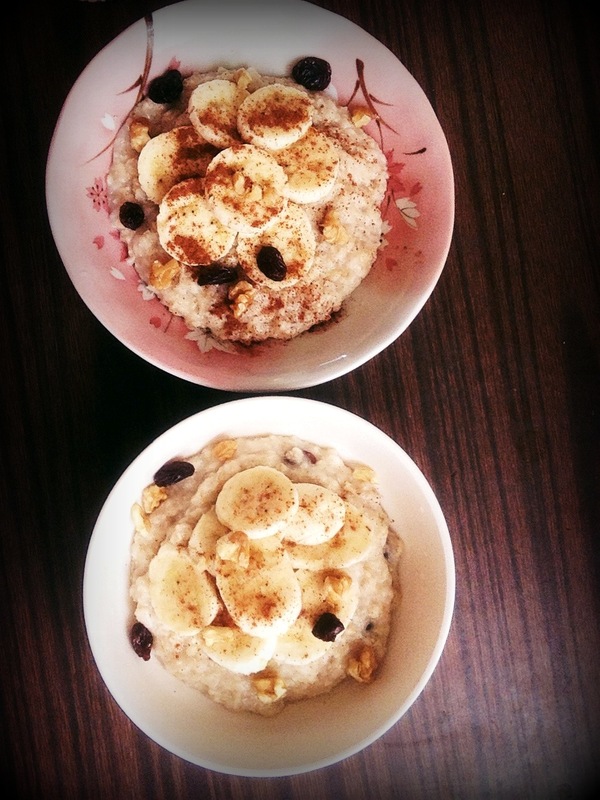 Simple and Healthy Oatmeal! | Yummy in Mah Tummy! Heat a pot on the stove and mix in the milk, oats, a pinch of salt and, and your choice of sugar if using. Cook until it bubbles and the oats look soft and fluffy. Stir in the raisins and cook for another minute to soften up the raisins. Turn off the fire and and pour the oatmeal into two bowls. Add the slices banana, a few raisins, crushed walnuts, and cinnamon on top.